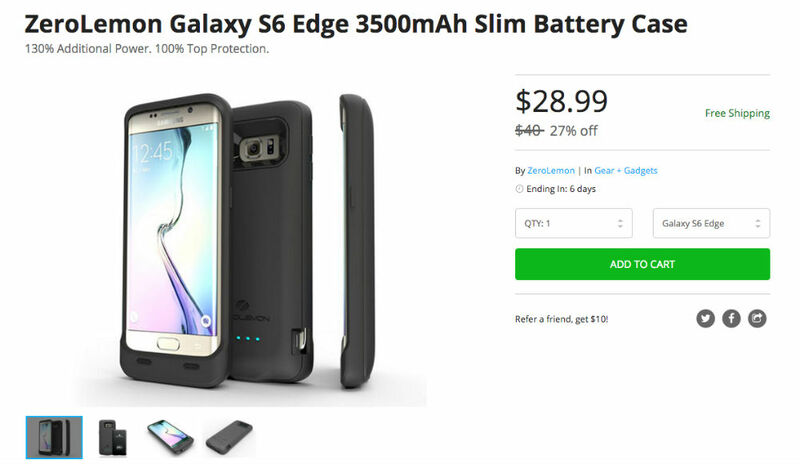 Currently on the DL Deals Store, you can pick up a 3,500 mAh Slim Battery Case for your Galaxy S6 Edge, priced at just $29. Usually carrying a tag of $40, this battery case offers 130% extra charge for the device, which may come in handy for those who are not near an outlet at all times of the day. Thanks to its slim profile, the case should not add too much bulk to the already ultra-thin device, and it will even protect your delicate glass and metal device from drops and everyday wear and tear. If you own the Galaxy S6 Edge, and are interested, follow the link below.